June 2010 saw a total of 26,810 new passenger cars sold in South Africa. The total number of new passenger car sales in the country increased by 4.2% when compared to May 2010, and by 25.8% when compared to June 2009, bringing the year-to-date June market in 2010 to a level 27.9% above the same period for 2009. And the top-selling car of June 2010? 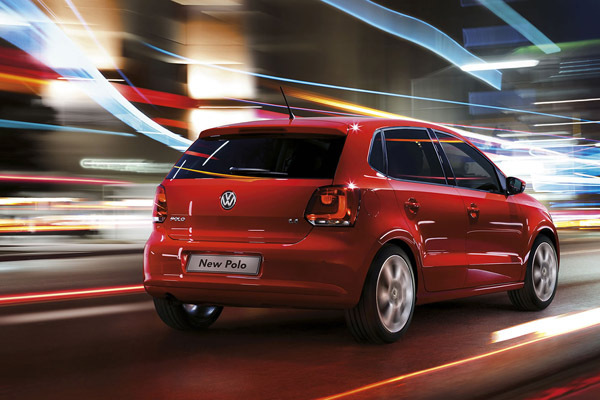 Following on from April and May’s impressive figures, the new Polo Vivo is again the best-selling car in the market. ‘Volkswagen Group South Africa was again passenger car leader with 22.1% share of the total passenger market. Significantly, the Group’s passenger car sales year to date, are 35.6% ahead of the same period in 2009,’ said Mike Glendinning, Director of Sales and Marketing, Volkswagen of South Africa. ‘The uniquely South African Polo Vivo was the number one passenger car Brand for the third consecutive month, selling 2471 units. The no compromise value proposition of the Polo Vivo has clearly resonated with the South African consumer,’ he continued. The Polo Vivo, which was launched in March 2010 as an entry-level model for the South African market. Available as both a hatchback and saloon with 74bhp/84bhp 1.4-litre and 103hp 1.6-litre units, two trim levels are available: base and Trendline. 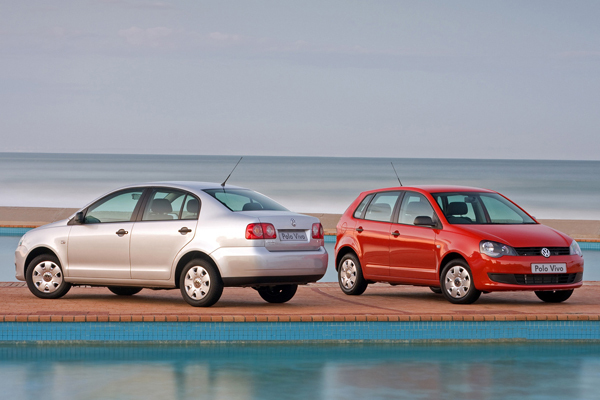 Costing from R101,500 for the most basic 1.4 model, the Polo Vivo is based on the facelifted version of the Series 4 Polo, built from 2005 to 2009. Changes include front and rear bumpers, as well as a revised front grille and other minor bodywork changes. The Polo is still a favourite of UK buyers according to the latest set of Society of Motor Manufacturers and Traders (SMMT) figures for May 2010, sitting in 7th place in the top 10 sales chart, down one place from April’s 6th (though 68 units more were sold than the previous month). It’s also ahead of rivals such as the Peugeot 207 and Renault Clio, both of which don’t feature in the May tallies at all. The bigger Golf is two places ahead at number five. Overall, UK new car registrations climbed 13.5% in May to 153,095 units, marking the eleventh successive monthly rise, preceding an expected market decline. Volumes over the first five months of the year have risen 22.0%, with the growth reflecting the weakness of the 2009 market. However, May 2010 sales tallies are still 14.6% or 26,177 units down on the 2008 level. Full year registrations total expected to dip slightly as scrappage boost comes to an end. Ford’s Fiesta was knocked off the best selling model list for the first time this year in May, by the Ford Focus. Growth in mini and supermini cars cooled, reflective of the rate of gain in previous months. May 2010 saw a total of 25,724 new passenger cars sold in South Africa. The total number of new passenger car sales in the country increased by 9.1% when compared to April 2010, and by 36.3% when compared to May 2009, bringing the year-to-date May market in 2010 to a level 28.3% above the same period for 2009. And the top-selling car of May 2010? The new Polo Vivo, with 2546 units finding homes. ‘Volkswagen of South Africa continued to dominate the passenger car market with 22.6% share and total sales of 5808 units. We are very encouraged by the reaction from the market to our new entry level Polo Vivo,’ said Mike Glendinning, Director of Sales and Marketing, Volkswagen of South Africa. ‘The new car sales cycle therefore appears set to continue growing through 2010, but possibly characterised by slower rates of growth during the second half of the year than what have been experienced so far in 2010,’ he continued. 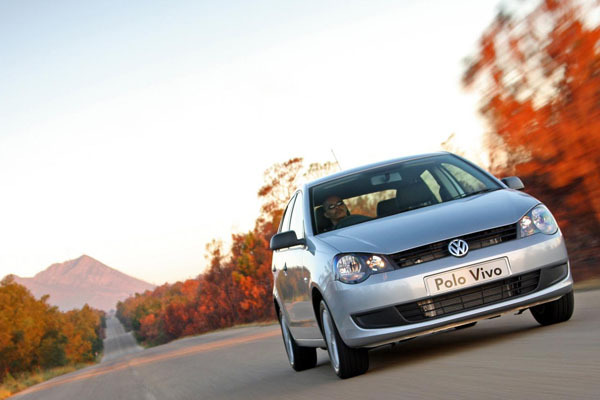 The Polo Vivo, which was launched in March 2010 as an entry-level model for the South African market, was also the country’s best-selling passenger car brand in April 2010, shifting 2187 units. Available as both a hatchback and saloon with 74bhp/84bhp 1.4-litre and 103bhp 1.6-litre units, two trim levels are available: base and Trendline. Costing from R101,500 for the lowliest 1.4 model, the Polo Vivo is based on the facelifted version of the Series 4 Polo, built from 2005 to 2009. The latest UK car sales figures have been released by the Society of Motor Manufacturers an Traders (SMMT) and the Polo remains well-regarded with UK buyers. Although still selling half of the UK’s favourite car of the year so far, the Ford Fiesta, the Polo rose to sixth place from ninth in the March best-sellers list. The bigger Volkswagen Golf was one place above the Polo in fifth, rounding off an encouraging month not only for the German company, but also for the UK motor industry as a whole. New car registrations rose 11.5% in April to 148,793, a tenth successive monthly increase with volumes up on a weak 2009, with scrappage accounting for just 8.0% of the April market. ‘April was another good month for the UK motor industry with private buyers responding positively, despite the end of the scrappage scheme. There are still difficult months ahead, but the strong start to 2010 has led SMMT to increase its annual forecast to 1.924 million units,’ said Paul Everitt, SMMT chief executive. When looking at its competitors, the Polo pipped the Peugeot 207 to the April sales winning post, ahead by almost 500 units, a reversal of fortunes when compared to March 2010’s figures. The Ford Fiesta and Vauxhall Corsa still sold more, but the small GM model was only two places ahead of the baby Volkswagen. 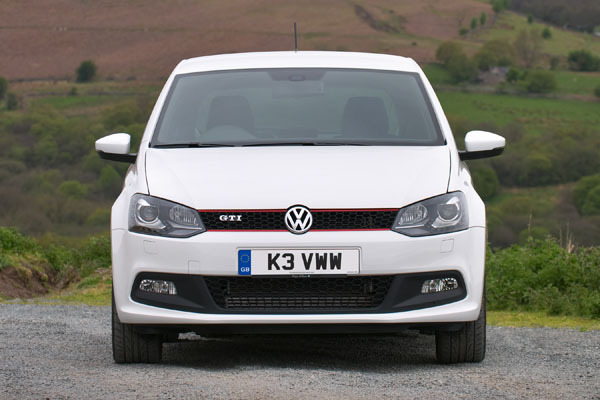 The SMMT have also released top 10 year-to-date sales figures for 2010, and reflecting the pattern set for April, the Polo comes in sixth, selling 18,840 units. The Fiesta won out again, though, striding the top of the charts with a colossal 42,610 units, 8000 more than its bigger Focus brother. 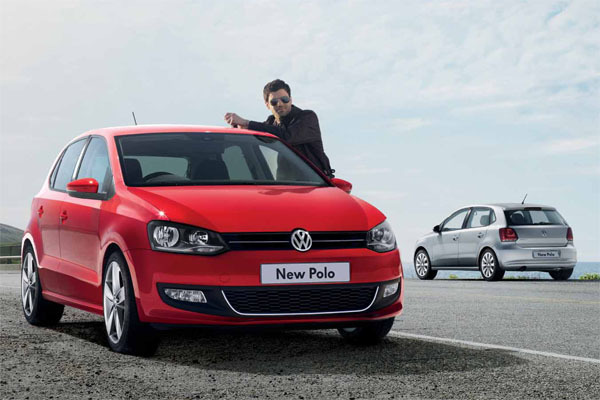 The figures are out, and the good news is that the Polo is still a firm favourite with UK buyers. The March 2010 UK top 10 sales tallies show a 26.6% increase when compared to the same period last year and the Society of Motor Manufacturers and Traders (SMMT) state that 397,383 new cars were registered last month – more than were expected, especially with the Government’s scrappage scheme coming to an end. The latest batch of UK figures come as the eagerly-awaited CrossPolo and Polo GTI models are shown in Germany for the first time at the AMI Leipzig 2010 motor show, alongside the new Volkswagen Touran.